I first want to take a moment to thank the Marquette Law School Blog editorial faculty for inviting me to be the alumni blogger this month. I have enjoyed the content the MULS blog has offered since its inception, and I am honored to now be a part of it. I primarily practice in management-side, labor and employment law in Wisconsin, but I have a special interest in how social media interacts with these practice areas. My posts will focus on various ways that social media collides with the law in this respect and others. As a side note, I not only observe social media but I am a user, too. You can follow me on Twitter @jesse_dill. I typically Tweet about developments dealing with labor and employment law, Milwaukee, and the occasional grumblings about how my favorite teams are not meeting my perfectly reasonable (read: exceedingly high) expectations. Social media services like Facebook, Twitter, LinkedIn, FourSquare, Instagram, and the like have quickly become the hot topic in my line of work because of their widespread use among employers and employees. Whether an employer wants to utilize a service for recruiting purposes or try to regulate its use by employees in the workplace, a host of fascinating issues arise while attempting to apply old legal theories to these new devices. As these issues make their way through administrative processes and courts, I believe we are witnessing more nuanced examination from what I would describe as “traditional” thinking of social media. Professor Boyden recently presented his critique of some discovery production orders that may be seen as overbroad because, as he hypothesizes, of the difficulties that may arise when applying the term “document” to a Facebook profile. Another example I want to explore deals with notions of privacy in social media. Just a few years ago, it seemed courts were more than willing to dismiss any notions of privacy with social media. One California court observed, “‘Information disclosed to a few people may remain private.’ Nevertheless, the fact that Cynthia expected a limited audience does not change the above analysis. By posting the article on MySpace.com, Cynthia opened the article to the public at large. Her potential audience was vast.” Moreno v. Hanford Sentinel, Inc., 172 Cal.App.4th 1125 (2009) (quoting M.G. v. Time Warner, Inc., 89 Cal.App.4th 623, 632 (2001)). A recent court opinion out of the District of New Jersey, Ehling v. Monmouth-Ocean Hosp. Serv. Corp., Civ. No. 2:11–cv–03305, 2012 WL 1949668 (D.N.J. 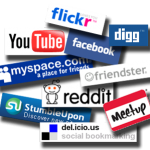 May 30, 2012), is challenging the traditional notion that there is no privacy in social media. The plaintiff, Deborah Ehling, posted comments on her Facebook wall regarding a shooting at the Holocaust Museum in Washington D.C. Ehling seemingly did not feel that the security guards were sufficiently accurate when stopping the shooter or that the paramedics should have expended great effort to save him after he was shot. Ehling alleged that her employer, MONOC, gained access to her wall by “coercing, strong-arming, and/or threatening” another employee, who was friends with Ehling on Facebook, into showing a supervisor the posts on a work computer. MONOC subsequently submitted the posts to New Jersey licensing authorities in an alleged attempt to interfere with Ehling’s nursing license and paramedic certification. The court struggled with deciding Ehling’s privacy expectations in her Facebook wall posts as a matter of law. The court described where such interests are easier to ascertain. A website available for anyone to view lacks privacy interests, but electronic communications that are only accessible by an individual who must enter a password to receive the message includes a clearer privacy interest. However, the gray area in between is where this case lies and where courts have not yet developed a “coherent approach” to evaluate privacy interests. Noting that Ehling “actively took steps to protect her Facebook page from public viewing[,]” and that it was unclear how many individuals could view the posts, the court was not prepared to say that Ehling could not reasonably consider her Facebook comments to be private. I believe the comments on social media privacy of Ehling are a sign of analysis to come. 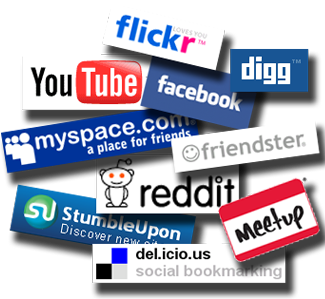 Future court opinions are unlikely to readily dismiss any notions of privacy with regard to social media. As more individuals actively engage in social media services, especially those from age groups that tend to include practicing judicial authorities, they will come to understand the expectations users have in those applications. Moreover, information conveyed via social media is not something that just anyone can necessarily view. Regardless of whether it will ultimately be proven true or not, certainly a key allegation for the Ehling court in ruling on the motion to dismiss was that a co-worker was pressured to disclose Ehling’s Facebook wall contents. Numerous privacy settings are typically available to allow just one, dozens, or thousands to see content posted to a social media account. Despite numerous objections raised by the general public when Facebook makes changes to its privacy policies, more people than ever seem to be acutely aware of the tools available to limit communications to certain individuals. Several states are responding to reports that employers asked applicants to present their social media profiles or passwords with legislative solutions that limit such practices. The automatic conclusion that anything posted to social media is reasonably viewed as publicly available for all the world to see is likely a thing of the past. A more nuanced approach, suggested by Ehling, is going to become a common analysis for future privacy claims. I would be interested to know how a court would deal with a private twitter account. Twitter gives users the ability to “lock” their profiles and tweets, effectively giving the user more control over their privacy – but it still lives in that murky area of social media privacy.